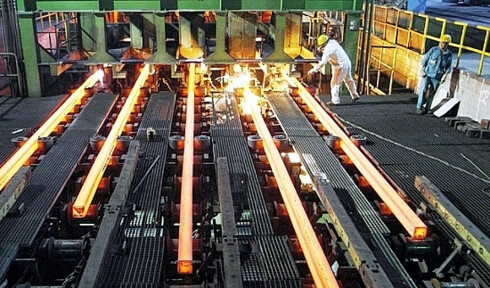 Vietnam Italy Steel JSC (VIS), in which Japanese Kyoei Steel holds 25 per cent, plans to remove the foreign ownership limit (FOL) to prepare for its long-term development plan. The board of directors’ proposal to this effect was approved by the recent annual shareholders’ meeting. According to the board of directors, the Vietnamese construction sector will see an increase of 9.7 per cent this year and reach an average growth of 8.2 per cent in 2017-2021. This year, VIS targets to reach the production capacity of 500,000 tonnes of steel, up 9 per cent, and VND7.09 trillion ($311.55 million) in revenue with VND90.4 billion ($3.97 million) in pre-tax profit, signifying on-year increases of 16 and 64 per cent. Nguyen Thanh Ha, general director of VIS, stated that Kyoei will support VIS with technology to increase the effectiveness of manufacturing and export operations. At the annual shareholders’ meeting, the board of directors and shareholders appointed Yoichi Hoshino, who is currently the general director of Kyoei Vietnam, as a member of the board of directors for 2016-2020. VIS was established in 2001 by Song Da Corporation. The corporation later decided to divest all of its 26.1 million shares from VIS. The company specialises in producing and trading construction steel, import and export materials, spare parts and equipment for the steel industry, as well as logistics services. The company holds around 3.6 per cent of the market share. It plans to develop new plants to reach the capacity of 850,000 tonnes of steel and 1.1 million tonnes of steel billet. Its products have been used in major national projects including civil, industrial, and transportation projects. Moreover the company’s products have been chosen as the main material in buildings at Laos, Korea, and Singapore.